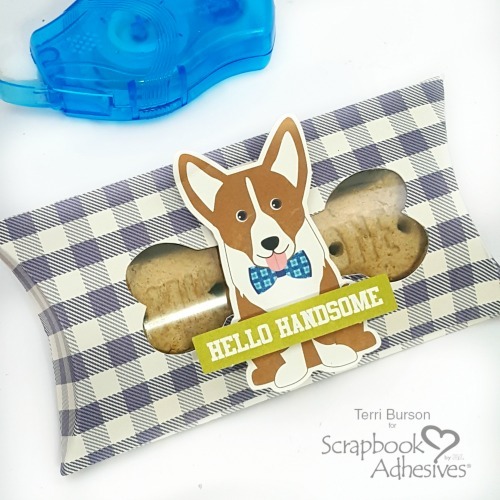 Hello crafty friends, Terri here celebrating International Dog Biscuit Day! I’ll tell you, my dog will be very happy to learn that there’s a day to celebrate his favorite treat. 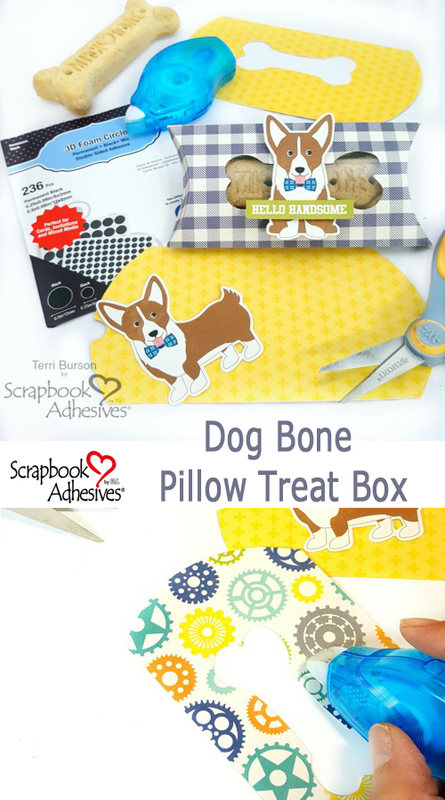 Stay with me for a few minutes while I share creative tips for these fun dog bone pillow boxes. They’re perfect for gifting to your pet loving friends! I’m a tech girl, all the way. I love utilizing technology in my crafting. Although I used my electronic cutter to cut these pillow boxes and dog bone cut out, there are other options available. I’ll share more on my blog about the technology portion, but let me share a basic work around; tracing and printing. I think most of us have printers, don’t we? 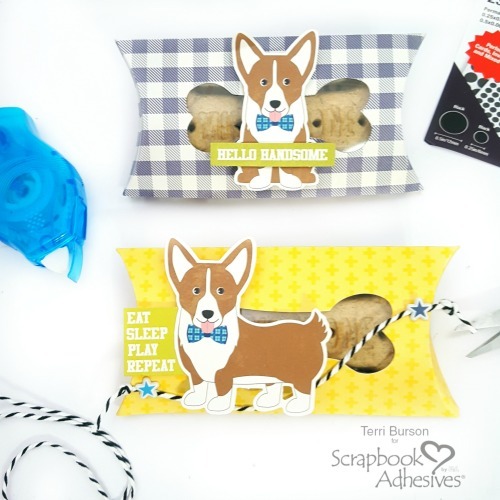 There are tons of free printable templates and images available online for just about any pattern, including pillow boxes. 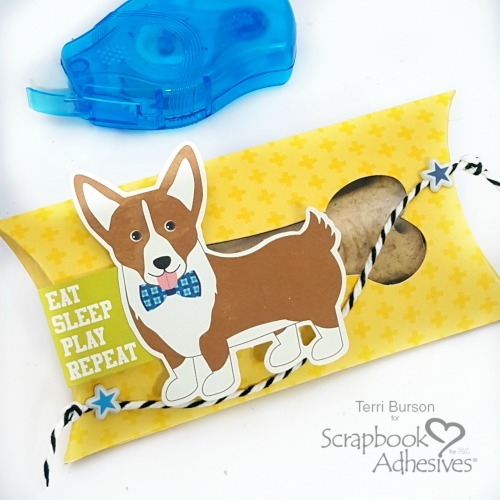 I was almost going to trace around my dog bone and trim it for a cut-out template! However, I remembered that I have a cartridge with a dog bone image so, problem solved. I love papers that can be used for more than one thing. I was so happy when I remembered that I had the Jillibean Soup Too Cool For School paper collection. It’s boy themed but guess what? It’s also full of fun images that served my purpose today. Like, that cute dog cut out! Do you know what else offers duality? The new E-Z Runner® Petite. 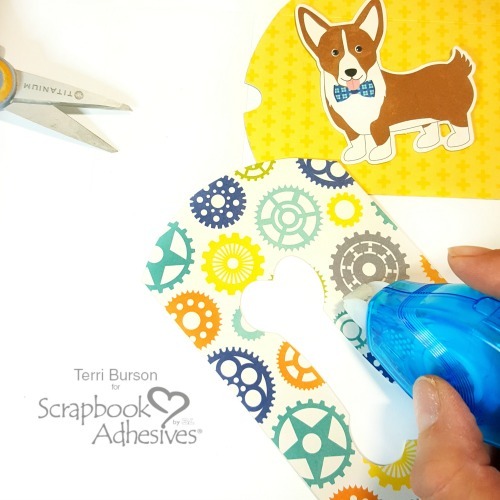 It’s small, portable and sized for crafters on the go. 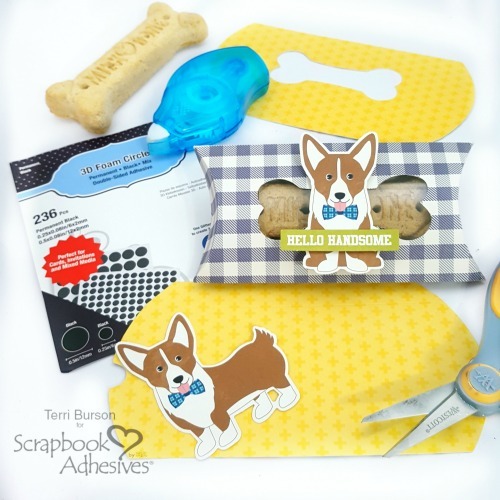 It was so handy for this project and worked perfectly to seal my acetate cover for the dog bone cut out, and the folded flaps for my pillow box, as well. I once had a friend tell me how to avoid one-dimensional projects. Layer, layer, layer. The same goes for dimension. You can never have enough for that the popping appeal that makes your craft projects stand out and get noticed. My dog and cut out sentiment are both popped up with the 3D Foam Circles Black Mix. I love how it gives me an instant depth and brings cohesiveness to my projects. Lastly, I brought out my Adhesive Dots Micro to tack some black and white twine to my box. It looks a bit like a leash, don’t you think? They’re hidden underneath those Jillibean Soup puffy stars. This entry was posted in 3D Foam Circles, 3D Projects, Adhesive Dots & Lines, Adhesives, Crafts & Tutorials, E-Z Runner® Dispensers, Gifts, Intermediate, Permanent Adhesive, Skill Level and tagged 3D Foam Circles Black Mix, Adhesive Dots Micro, Cricut Explore, E-Z Runner Petite Refillable Permanent Dots, E-Z Runner Petite Refills Permanent Dots, Hero Arts, Jillibean Soup, May Arts Ribbon, Terri Burson, Westcott. Bookmark the permalink.